Swimming pools can provide hours or fun, but they also present some very significant dangers. 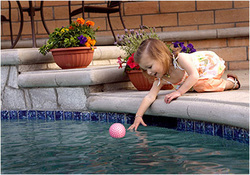 Swimming pools can be enticing to children who may wander onto a property and drown in the pool. Swimming pools can also be dangerous if not properly maintained or if there are hazards that pool users are unaware, such as an overly shallow deep end, a faulty ladder or a dangerous diving board or slide. In fact, the very act of using a swimming pool without a lifeguard is always risky since drowning is possible at any time. In some instances, swimming pool accidents may occur as a result of a pool owner or pool operator's failure to secure the pool as required, to supervise pool users or to make sure that the pool and surrounding area are safe. When a swimming pool accident occurs due to a failure on the part of the pool owner or operator to ensure safety, this can result in the pool owner becoming liable for any resulting injuries or for death due to drowning. If you or a loved one has been involved in a swimming pool accident and want to hold the pool owner or operator responsible, the experienced Missouri Personal Injury Attorney at the Law Office of Jeffery A. Hanna can help. Contact us today at 660-747-2550 or use our online form to schedule a free consultation. Swimming pools are considered to be an "attractive nuisance," in the eyes of the law. Essentially, this means that they can attract children to trespass on the property and can thus result in the children suffering from significant harm as a result of unsupervised use. Because unsecured swimming pools present such a danger to kids, county ordinances throughout most of Missouri impose requirements on property owners to keep their pool areas fenced and, often, locked. When a swimming pool owner fails to obey ordinances and secure the pool properly, the pool owner can then become responsible for any drownings or injuries that occur in the pool- even when those injuries result from trespassing. Trespassing children are not the only ones at risk for swimming pool accidents either. Anyone using a swimming pool may potentially be in danger of injury from diving accidents, accidental drowning or other dangers associated with using the swimming pool. Property owners have a duty to make sure the pool is reasonably safe in order to minimize these risks. The exact nature of the duty is going to vary depending upon whether the swimming pool is privately owned or open to the public. For instance, public pools are generally required to have lifeguards on duty while private pool owners are typically not subject to such requirements. All pool owners or operators, however, have a duty to properly light the pool, to maintain it in a safe manner and to warn guests or visitors of dangers that exist around the pool such as shallow diving areas. Defective pool drains and other dangerous equipment can also result in swimming pool accidents in West-Central Missouri and elsewhere in throughout the Mid-West and can result in a lawsuit against the manufacturer. When a property owner breaches a duty by violating a safety ordinance, by failing to maintain the pool in a reasonably safe manner or failing to warn guests of pool dangers, the property owner can become responsible for any losses that result. This can include personal injury damages for medical bills, pain and suffering, lost wages and emotional distress after a swimming pool accident. It can also include wrongful death damages after a drowning occurs due to a swimming pool accident. An experienced personal injury attorney can help victims injured in swimming pool accidents to understand when a property owner is liable, to prove liability and to collect the appropriate compensation for the accident. To learn more about how a Missouri Premises Liability Lawyer can help you after a swimming pool accident, contact the Law Office of Jeffery A. Hanna today at 660-747-2550 or by using our online form.